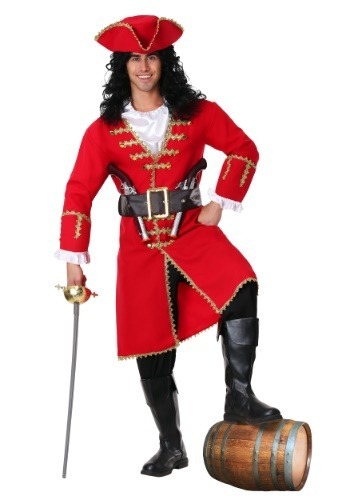 Captain Blackheart Pirate Costume By: Fun Costumes for the 2015 Costume season. This Captain Blackheart Costume will transform you into the famous pirate from the 17th century. Wear this jacket over your own black pants, or buy ours, and add boots or boot tops and toy weapons to complete your authentic look.